The Buttfields formerly lived in a dark, spawling house in the inner suburbs. Through this project they wished to achieve a brave new house, still spacious but with less maintenance, and with closer city amenity. General living areas and the primary bedroom wrap around a tranquil, contemplative and private northern zone, and more formal, study and other bedroom areas address the Park Lands. 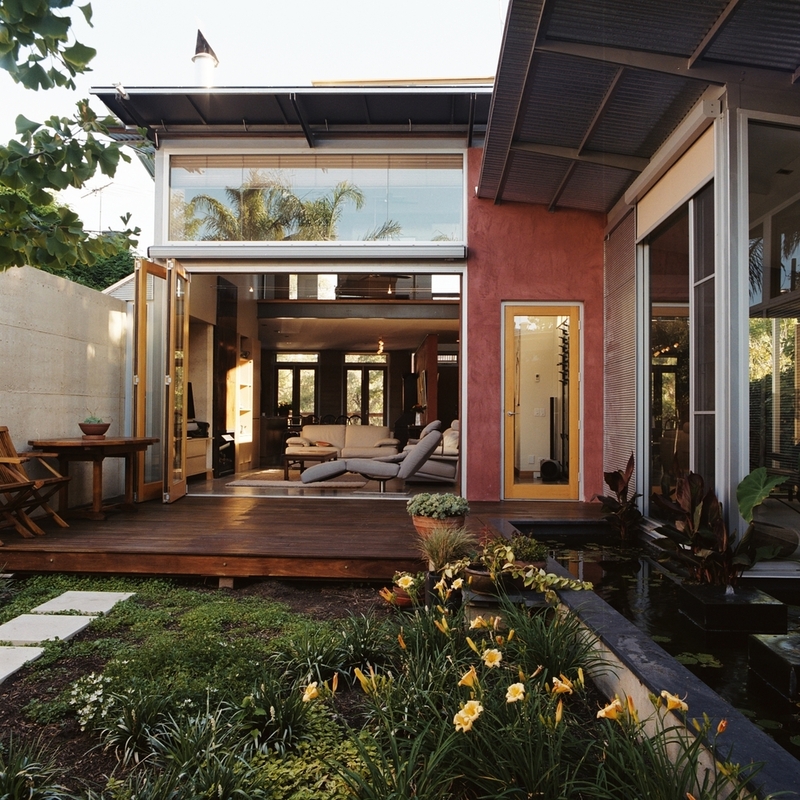 Throughout, internal spaces merge and the indoors flow with the outdoors. The site included a 1.5m fall north to south, allowing for a semi-basement to contain cars on a small site, and pleasant grading of the ground level from the street, and also affording better ground floor views over the Park Lands. The building’s material palette and tones are selected to respond the natural qualities of the Park Lands and to bridge between diversely treated neighboring buildings. Materials and their few applied finishes are also selected with an eye to low embodied energy, low maintenance, and to age gracefully.